They call it Pandoravirus. It attacks the brain. Anyone infected may explode in uncontrollable rage. Blind to pain, empty of emotion, the infected hunt and are hunted. They attack without warning and without mercy. Their numbers spread unchecked. There is no known cure. Emma Miller studies diseases for a living—until she catches the virus. Now she’s the one being studied by the U.S. government and by her twin sister, neuroscientist Isabel Miller. Rival factions debate whether to treat the infected like rabid animals to be put down, or victims deserving compassion. As Isabel fights for her sister's life, the infected are massing for an epic battle of survival. And it looks like Emma is leading the way . 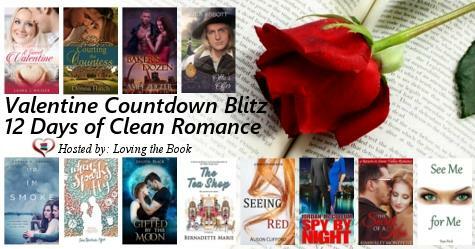 . .
Valentine Countdown Blitz - 12 Days of Clean Romance Day 2 with Giveaway!!! As You Wish by Ja'Nese Dixon Book Tour and Giveaway! Is their simmering attraction enough to defeat their crusades? Damian “The Shark” Hughes real estate billionaire lands in Houston, Texas to handle a “problem tenant” stalling his partnership with Rockstar Entertainment. But on first sight he doesn’t know which he wants more, to evict her or bed her. Imani Scott is at the end of herself and her resources for keeping the doors of Harmony Dance open. What she doesn’t have time for is the sweet talking, money slinging gorgeousness from Atlanta. Her sole focus is on her students. They are depending on her and she’s not to go down without a fight. High Stakes Book Tour and Giveaway! Where Do I Go by Beverly Magid Blog Tour! The Lacemaker Review and Giveaway!